When Myrtle Beach resident Rena Grant moved from Tabor City, N.C., to central Pennsylvania, the U.S. was newly engaged in World War II. Shortly after her move, at just 19 years old, she found a job through a friend that almost tripled her weekly pay. She went from bookkeeping at $18 a week in Wilmington, N.C., to $50 a week working at an aeronautics company making airplane parts for the war effort. There she would eventually meet her husband, Richard Grant, have children, and return to her first loves, athletics and volunteering. Rena Grant was recently chosen as the City of Myrtle Beach’s Volunteer of the Year from among 600 volunteers, an honor for which she received a $500 cash stipend. 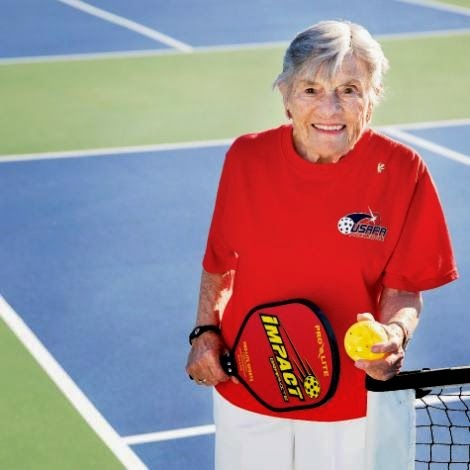 Grant volunteered some 788 hours in 2013, mostly on the pickle ball courts at the Crabtree Memorial Gymnasium. She celebrated her 90th birthday in November. Congratulations Rena - you deserve this!